Dwight Angel has been a Gunsmith for over 30 years. He is a Florida Auctioneer specializing in weapons auctions, license AU4267. We travel Alabama, Florida & georgia buying parts guns, broken guns & gun parts! If you have parts gun for sale you can contact us! We want to buy them! a. A storehouse for arms; an arsenal. b. A building for storing arms. to Gun & Knife Auctions! Keeping the old trades of Auctioneer, Blacksmith & Gunsmith alive! Are you a Doctor, Dentist, Merchant or business person that can't afford to be out of your office or business to build a gun collection? Do you like guns and want to build a collection but feel you don't know enough about guns to get started? Would you like to have private tutoring to learn the basics of gun handling and safety? Do you have guns you want to sell? Do you have a family gun you want to have restored? 1. 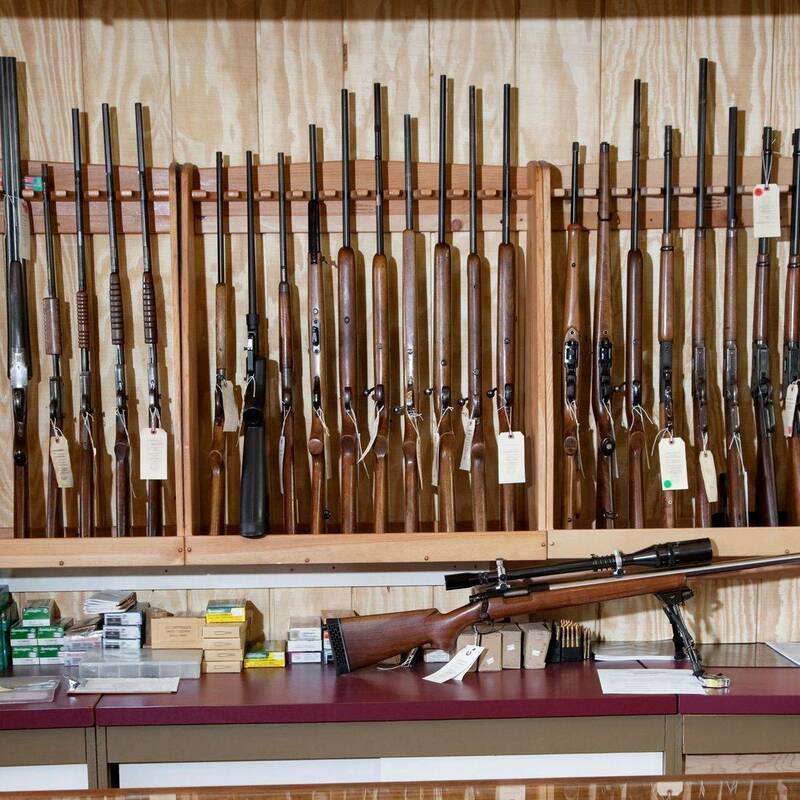 We provide firearms restoration and repair services. 2. We are Florida state licensed Auctioneers and can handle selling 1 gun or 100 for our clients. 3. We provide one on one firearms safety and handling tutoring. 4. We search the country and locate guns for our clients. 5. We conduct gun and knife auctions online. Our auctions are convenient ways to build your gun and knife collections! 6. We buy and sell guns for our clients! buying parts guns, broken guns & gun parts! WE WANT 1 GUN OR 100 GUNS! can contact us! We want to buy them! If you have guns for sale. Send us a picture and give us the price you are looking to get for the part guns you have to sell. If we agree on a sale price email us for confirmation and ship the guns to our address by UPS. our shop hours are by appointment only. we are federally licensed by the us atf. WE BUY OLD PARTS GUNS! TEXT US - OR CALL! years advancing his knowledge, skills & abilities as a gunsmith. SAVE TIME HUNTING FOR SOMEONE TO REPAIR OR REFINISH YOUR FIREARM! SAVE THE TIME & EXPENSE OF DRIVING TO & FROM THE GUNSMITH! GUNSMITHING WORK BY FEDX OR UPS! We accept credit cards through Square. We accept credit cards through Cash Me. Dwight has been a Gunsmith for over 30 years. He specializes in General Repair Work and Gun Stock Manufacturing, Refinishing, Restoration, Glass Beddng and Repair. Dwight has served as a Commercial Contract Gunsmith and has operated numerous shop​s he has owned including; Law Enforcement Gunsmiths, USAC United States Arsenal Corporation, Florida Arsenal Corporation, Florida Gun Factory, Georgia Gun Factory, to name a few. Dwight has served as Gunsmith Training Program Editor/Writer and a Firearms Instructor. He has additional served as a Firearms Task Force Coordinator during his career with the Florida Department of Law Enforcement (Retired). Dwight wrote firearms training curriculum for use in Florida Police Academies and he wrote state examination questions for Florida Certification Examinations. We refinish and restore gun parts and guns. We always want to buy gun parts, regardless of condition! contact us! We want to buy them! We sell refinished and restored gun parts! Always hard at work restoring guns! We Buy Guns & Gun Parts Regardless of Age & Condition! We Specialize in Refinishing & Restorations! Call Us When You Have Parts to Sell! This is a complete disassembly, cleaning, inspection, lubrication, re-assembly and function testing. If you are shipping the firearm in to us, return shipping is billed at actual cost. This is an hour of labor charges for general repair work. Hundreds of abrasive "balls" mounted on a flexible shaft - the fastest, easiest way we've come across to clean and polish older barrels or put a mirror polish in new ones. For used barrels, the Medium-Coarse hone, followed by the Fine, removes rough and tight spots and brings the bore to a bright finish that you can see and feel . . . just run a patch through it before and after; the difference is amazing! We found too, that we could feel tight spots during honing and spend extra time on them until they were evened out. > Send the barrel only if possible. > Return shipping at actual cost. We have our own in-house gunstock duplication machines! Click this text to start editing. This block is great for showcasing a particular feature or aspect of your business. 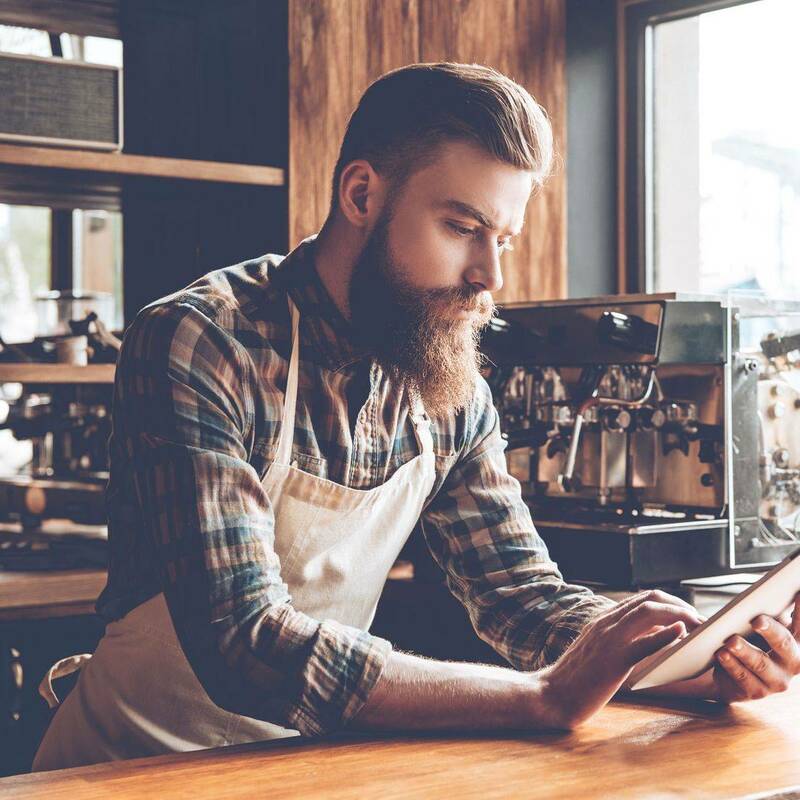 It could be a signature product, an image of your entire staff, an image or youINGr physical location, etc. Double click the image to customize it. 60 day turn around + / - Depending on weather and time of year. Checkering is stripped out, cleaned, brushed and taped out before we apply the finish coats. We do not spray finish coats into the checkering, it is waxed only after completion of refinishing. HIGH GLOSS Short Rifle/Shotgun Basic Stock Filled & Polyurethane (4) Coats Finished on an Un-Checkered Stock. HIGH GLOSS Short Rifle/Shotgun Forearm Filled & Polyurethane (4) Coats Finished on an Un-Checkered Forearm. HIGH GLOSS Full Length Shotgun or Rifle Basic Stock Refinishing Filled & Polyurethane (4) Coats Finish on an Un-Checkered Stock. HIGH GLOSS Short Rifle/Shotgun Basic Stock Filled & Polyurethane (4) Coats Finished on an Checkered Stock. HIGH GLOSS Short Rifle/Shotgun Forearm Filled & Polyurethane (4) Coats Finished on an Checkered Forearm. HIGH GLOSS Full Length Shotgun or Rifle Basic Stock Refinishing Filled & Polyurethane (4) Coats Finish on an Checkered Stock. Matte finishes are available in Parkerizing Gray (medium gray), Dark Parkerizing Gray (medium dark), Stainless Steel Gray (light), Earth Brown, Matte Clear, O.D. Green for creating camo pattern stocks, Desert Tan (light, desert-tan sand), Coyote (light, gray-brown) and the original favorite, Matte Black. Also available is Semi-Gloss Black which can be used to compliment the matte finishes. ** Call about other guns! Per Man & Machine Hour . . . . . . . . . . ........... . .$65.00. > Dealers receive a 20% discount on all parts and labor services. >Dealers receive a 20% discount on all parts and labor services. >Return shipping is at actual cost. and must be shipped to a Federal Firearms Licensed Dealer. ACME Model 1896 12 Ga Receiver & Parts Includes all visible parts. This is a High Standard 22 Caliber Rifle Stock that still has some internal hardware attached. The stock model is not known. Ships for $20.00 to original 48 states. Use picture for comparison to your model needed. Sold as is, no returns. High Standard Mod 880 12 Ga Parts Gun (Item#201) Empty receiver and barrel, no other parts present. The Massachusetts Arms Company, of Chicopee Falls, Massachusetts was a manufacturer of firearms and firearm-related products from about 1849 into the early 20th century. The Massachusetts Arms Company was incorporated March 5, 1850 and was founded by Joshua Stevens along with Horace Smith and Daniel Wesson, who later founded Smith & Wesson. It was an outgrowth of the Wesson Rifle Company. Hugh William Moreland HAVANA - Hugh William Moreland, 76, who was the owner of Moreland's Gun Shop, died Saturday, Aug. 7, 2004, in Tallahassee. The service will be at 10 a.m. EDT Wednesday at First Presbyterian Church in Havana, with burial at Woodland Cemetery. Memorial contributions may be made to The Miami Project to Cure Paralysis, P.O. Box 016960 (R48), Miami, FL 33101 or the NRA Foundation, 11250 Waples Mill Road, Fairfax, VA 22030. Faith Funeral Home (850-539-4300) is handling arrangements. Online visitors may sign the guest register atwww.faithfuneralhome.com. Born April 17, 1928, in Bainbridge, Ga., he was the son of the late Carl Moreland and Rosalie Sapp Moreland. He attended Havana High School, Florida State University and Emory at Oxford in Atlanta. He served three years in the U.S. Air Force, where he was a control-tower operator. His lifelong love for flying began when he soloed at the age of 16. He restored and flew vintage World War II aircraft; the 1943 Navy Stearman was his favorite. He formed the Historic Air Command. He was a member of the Experimental Aircraft Association and an honorary lifetime member of the Valiant Air Command. After working for 30 years for the U.S. Post Office, Mr. Moreland retired as a rural-route mail carrier. He was involved in numerous community activities, which included the Concord Pilau and was past president of the Havana Kiwanis Club and Havana Volunteer Fire Department. His love for hunting and fishing was inspired by his late grandfather, Dr. H.H. Sapp. Anthony L. Bajoczky of Barrett & Bajoczky, Tallahassee, for appellant. Robert A. Butterworth, Atty. Gen., and Royall P. Terry, Jr., Asst. Atty. Gen., Tallahassee, for appellee. Appellant Tarrence L. Smith has appealed the departure sentence imposed upon his conviction for armed robbery, contending the trial court relied upon an improper reason to exceed the recommended guideline sentence. For the reasons set forth below, we approve the sentence imposed. In his first appearance before this court, reported in Smith v. State, 507 So. 2d 788 (Fla. 1st DCA 1987) (Smith I), appellant challenged both his conviction and the departure sentence imposed thereon. Appellant's conviction was affirmed, but the case was remanded for resentencing due to improper calculation of the guideline score and because only one of three reasons provided for departure was determined to be valid. On remand, the trial court again departed from the recommended guideline sentence, albeit to a lesser extent. The case is now before us on appeal from the second departure sentence. A detailed recitation of the facts is set forth in Smith I. Briefly stated, on October 4, 1985, Moreland, the owner of a gun shop and the victim of the armed robbery *1061 which is the subject of this appeal, was talking to a customer when two youths entered his shop. As the customer left, one of the youths approached Moreland and engaged him in a discussion about weapons. The other youth approached Moreland from behind, and stabbed him in the back. As a result of the attack, Moreland's spine was severed, and he was rendered a quadriplegic. After the stabbing, the youth who had engaged Moreland in conversation left the shop. The other youth went behind the counter and took two guns. Based on fingerprints and other leads, the police began questioning Stanley Cannon about the robbery. At first, Cannon denied any involvement. Subsequently, he admitted being present when the crime occurred, and identified appellant as the person who stabbed Moreland. Appellant was arrested and charged with attempted first degree murder and armed robbery. Testimony at trial revealed that Cannon made many inconsistent statements during the investigation, and that although Cannon had not been offered a deal in exchange for his testimony, the police chief testified that he agreed to make the state's attorney aware of Cannon's cooperation. Since the victim and the store customer could not identify appellant, Cannon's testimony at trial as to appellant's involvement was uncorroborated. The jury found appellant guilty of armed robbery, but found him not guilty as to the charge of attempted first degree murder and all lesser included offenses. The recommended guideline sentence was 5 1/2 to 7 years, based on a scoresheet which included 21 points for victim injury. The trial court departed from the guideline sentence, imposing a 25-year sentence to be followed by a 15-year period of probation. The departure in Smith I was based on (1) the severity of the victim's injury, (2) the extreme cruelty and excessive use of force in the commission of the robbery, and (3) the escalating pattern of criminal conduct. [b]ecause only one of the trial judge's three reasons for departure is valid, and because the points for victim injury were improperly scored, we must reverse and remand for resentencing. The victim, Hugh Moreland, was severely injured and rendered quadriplegic in the course of this robbery in which the defendant participated. Victim injury is not an element of the offense of robbery and is not factored into the sentencing guidelines. The physical and psychological trauma suffered by the victim in this case requires an increased "measure of punishment." Vanover vs. State, 481 So. 2d 31 (2nd DCA 1985). Additionally, the victim's trauma resulted from "extraordinary circumstances" which are clearly not inherent in the crime of robbery and the victim has a "discernible physical manifestation resulting from the trauma." State v. Rousseau, 509 So. 2d 281 (Fla. 1987). *1062 In challenging the propriety of the second departure sentence, appellant's initial brief focused on the applicability of the amended sentencing guidelines which provide that victim injury shall be scored, whether it is an element of the convicted offense or merely incidental to the criminal transaction. Appellant urged that under the original and now accurate scoresheet, the appropriate guideline range is 5 1/2 to 7 years, and this court's opinion in Smith I should be modified to comport with the recent amendments. See Florida Rules of Criminal Procedure re: Sentencing Guidelines, 509 So. 2d 1088 (Fla. 1987). Appellant further asserted that no ex post facto question is involved. In response, the state asserts that since the current guidelines would not have an ameliorative effect in this case, an ex post facto question clearly is involved. Citing Miller v. Florida, 482 U.S. ___, 107 S. Ct. 2446, 96 L. Ed. 2d 351 (1987), the state maintains that under current law, appellant would be subject not only to scored points for victim injury, but also to less stringent standards for departure. In his reply brief, appellant urges the alternative argument that victim injury is not a proper basis for departure, because it was a circumstance surrounding the attempted murder charge for which he was acquitted. Appellant further argues that the trial court's reliance on Rousseau is misplaced, contending that Rousseau holds that psychological trauma may constitute a clear and convincing reason for departure only if the victim has a discernible physical manifestation as a result of the trauma. According to appellant, the physical manifestation in this case is the victim's paralysis which resulted from the stab wound, and not from psychological trauma. In Miller v. Florida, the Supreme Court held that the Florida guidelines in effect at the time of commission of an offense must be applied if a later amended version of the applicable guidelines has the potential to increase the quantum of punishment. See also Wilkerson v. State, 513 So. 2d 664, 665 (Fla. 1987). The robbery which is the subject of this appeal took place on October 4, 1985. The 1987 revisions to the sentencing guidelines have the potential to increase the severity of a sentence by virtue of an increase in points for the enumerated offenses, the fact that points may now be scored for victim injury when victim injury is not an element of the convicted offense, and the reduction in the standard of proof needed to support a departure. Therefore, in light of Miller and Wilkerson, we find the state has correctly argued that the amended guidelines are not applicable in this case. It is well settled that psychological trauma which is the type of trauma experienced by any victim of the particular offense is not a sufficient reason to depart from the recommended guidelines range. State v. Rousseau, 509 So. 2d 281, 283 (Fla. 1987). For example, in Lerma v. State, 497 So. 2d 736 (Fla. 1986), the court held the emotional hardship suffered by a victim of sexual battery cannot justify departure because nearly all sexual battery cases inflict emotional hardship on the victim. Nevertheless, psychological trauma can provide an acceptable basis for departure if the psychological trauma is due to extraordinary circumstances which make the trauma unique to that case. Just such an exception to the general rule enunciated in Lerma was carved out in Casteel v. State, 498 So. 2d 1249 (Fla. 1986), when the court found that the trauma suffered by the victim's son, who viewed the brutal attack upon his *1063 mother, came within the ambit of Rule 3.701(b)3, which directs that the penalty imposed should be commensurate with the severity of the convicted offense and the circumstances surrounding the offense. The court concluded that the psychological trauma present in Casteel was of a different caliber than the trauma in Lerma, and that emotional trauma may be relied upon for departure if supported by the facts in the case. Rousseau, 509 So.2d at 283-284. In addition to the extraordinary circumstances clearly not inherent in the crime charged, we perceive that there may be another situation where psychological trauma to the victim may be utilized to depart from a guidelines sentence. We hold psychological trauma to the victim may constitute a clear and convincing reason for departure when the victim has a discernible physical manifestation resulting from the psychological trauma. When the victim's trauma results from extraordinary circumstances clearly not inherent in the crime charged or when the victim has a discernible physical manifestation resulting from the trauma, it may constitute a clear and convincing reason for departure. (emphasis supplied). 509 So.2d at 283-284. Thus, Rousseau makes clear that psychological trauma is a valid reason for departure in two distinct situations: (1) when the trauma results from extraordinary circumstances not inherent in the crime charged, or (2) when the victim has a discernible physical manifestation as a result of the psychological trauma. See also State v. McCall, 524 So. 2d 663 (Fla. 1988); Tillman v. State, 525 So. 2d 862 (Fla. 1988); Hall v. State, 517 So. 2d 692 (Fla. 1988); Vanover v. State, 498 So. 2d 899 (Fla. 1986); Smith v. State, 525 So. 2d 477 (Fla. 1st DCA 1988); Whitfield v. State, 515 So. 2d 360 (Fla. 4th DCA 1987); Maulden v. State, 514 So. 2d 370 (Fla. 4th DCA 1987). In Whitfield, the court noted, citing Rousseau, that although emotional or psychological trauma is an inherent component of armed robbery and aggravated assault, a departure reason based on psychological and emotional trauma to the victims was valid in that case due to the presence of extraordinary circumstances. Appellant attacks the departure sentence in this case on several grounds. First, appellant contends emotional trauma cannot be relied on for departure because it resulted from the stabbing, and he was acquitted of attempted first degree murder. At first blush, the argument appears sound. However, the trial court related the victim's trauma to the experience of becoming a quadriplegic, rather than to the experience of being stabbed. We find the psychological overlay attendant upon instant quadriplegia is separate and distinct from the emotional trauma which attaches to the realization that one has been the subject of an attempted murder. In making this determination, we recognize that a departure sentence cannot be based on an offense for which a conviction was not obtained. Fla.R.Crim.P. 3.701(d)(11). Indeed, in Smith I, this court stated that "[b]ecause the stabbing injury to the victim is an aspect of the charged offenses [attempted first degree murder and all lesser included offenses] for which a conviction was not obtained, the second reason predicated on the act of stabbing is an improper basis for departure." 507 So.2d at 791. This reference was made in the context of excessive use of force and extreme cruelty as a basis for departure. Since the excessive use of force and extreme cruelty pertained to the stabbing, and since appellant was not convicted on the murder charge which was predicated on the stabbing, this court, in Smith I, found excessive use of force and extreme cruelty an improper reason for departure. In this instance, however, the trial court based departure on the victim's physical and psychological trauma attendant upon the severe injury inflicted in the course of the armed robbery. We conclude that the circumstances surrounding the armed robbery for which appellant was convicted constitute those extraordinary circumstances not inherent in the offense charged, as that concept was contemplated in McCall, Hall, *1064 and Vanover. In other words, while it is true the act of stabbing the victim in the back gave rise to the charge of attempted murder for which appellant was acquitted, it is also true that the stabbing was an aspect of the circumstances surrounding the armed robbery for which appellant was convicted. We conclude, therefore, that the factual circumstances present in this case render this an extraordinary and egregious case of armed robbery and that the victim's psychological trauma resulted from those extraordinary circumstances. Although we have determined that the trial court's reason for departure is proper, we find the law of the case doctrine would also preclude a contrary result. In Smith I, this court held that the extent of victim injury constituted a valid reason for departure, where victim injury has not been factored into the recommended sentence. Therefore, in view of this court's prior consideration of this departure reason, the law of the case would bar a different conclusion. See Johnson v. Dugger, 523 So. 2d 161 (Fla. 1988); Preston v. State, 444 So. 2d 939, 942 (Fla. 1984); Greene v. Massey, 384 So. 2d 24, 28 (Fla. 1980); Jefferson v. Thompson, 516 So. 2d 33, 34 (Fla. 1st DCA 1987). Accordingly, we affirm the departure sentence imposed in this case. MILLS and SHIVERS, JJ., concur. 3.701(b)2. The primary purpose of sentencing is to punish the offender. Rehabilitation and other traditional considerations continue to be desired goals of the criminal justice system but must assume a subordinate role. 3.701(b)3. The penalty imposed should be commensurate with the severity of the convicted offense and the circumstances surrounding the offense. 3.701(d)7. Victim injury shall be scored if it is an element of any offenses at conviction. 3.701(d)11. .. . Reasons for deviating from the guidelines shall not include factors relating to the instant offenses for which convictions have not been obtained. TALLAHASSEE, Fla., April 22, 2011 /PRNewswire-USNewswire/ -- Special Agent in Charge (SAC) Virginia O'Brien, Tampa Field Division, Bureau of Alcohol, Tobacco, Firearms and Explosives (ATF), today announced a reward of up to $5,000 for information leading to the arrest and conviction of the person or persons responsible for the burglary of Angel's Gun Shop and Business Center located at 30871 Blue Star Highway, Midway, Fla. In the early morning hours of March 20, 2011, 12 firearms were stolen during a burglary of Angel's Gun Shop and Business Center, a federal firearms licensee (FFL). This is the second burglary and theft of firearms from Angel's Gun Shop and Business Center in the last 18 months. During the March 20 burglary nine hand guns, two black powder weapons and one long gun were stolen from the FFL. "The theft of firearms poses a serious threat to the community," said O'Brien. "These firearms, in the hands of criminals, can cause immeasurable harm to innocent victims." ATF is the federal law enforcement agency that investigates firearms thefts, which can result in significant federal prison sentences for the person or persons responsible. Gadsden County Sheriff's Office: (850) 627-9233. SB 7026 became law in Florida on March 9, 2018 when Governor Scott signed the bill. Since then we have received numerous questions regarding the effects of the new laws. Section 12 of the bill amends Florida Statute §790.065 to ban the sale of any firearm to a person under 21 years of age. The text of the new law creates a conflict with §790.17 and leaves unclear whether or not a person between 18 – 21 may purchase a firearm in a private sale. Florida Statute §790.065 Sale and Delivery of firearms relates to the steps that a licensed importer, licensed manufacturer or licensed dealer must take prior to selling or delivering a firearm to a purchaser. 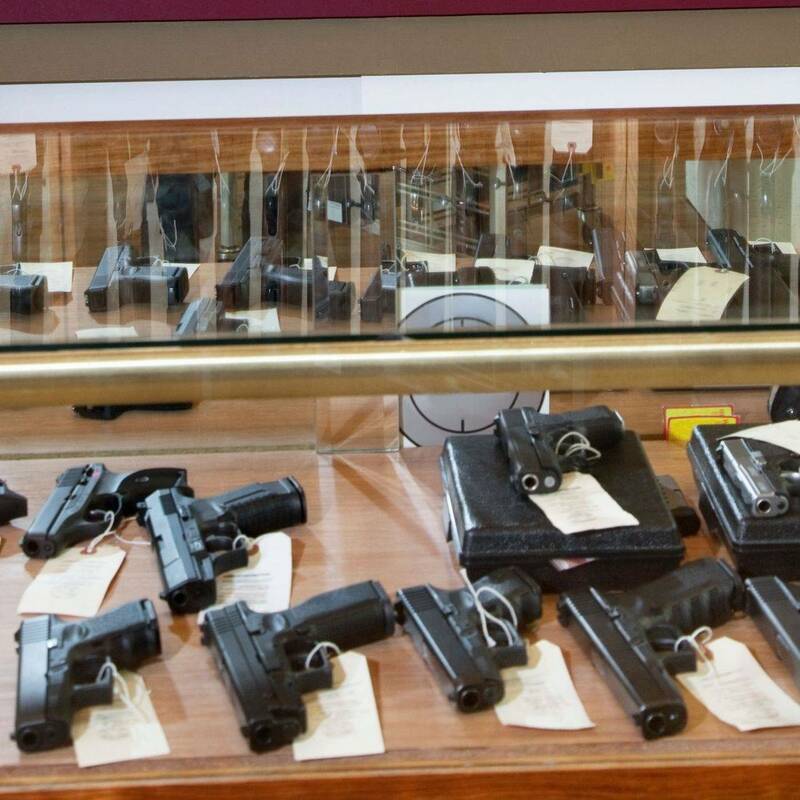 Nothing in this section has previously dealt with the private sale of firearms. However, under the recently adopted amendment to the law, §790.065(13) now begins with the sentence, “A person younger than 21 years of age may not purchase a firearm.” The rest of this amended section deals with the same group of licensed importers, manufacturers, and dealers as before and no penalties are listed that apply to a private sale to a person under 21 years of age. However, the first sentence as noted above does not include language stating that it applies only to those purchases made from a licensed importer, manufacturer, or dealer and seems to be a blanket prohibition against any sale to a person under 21 years of age. This section does not make it illegal for a person under 21 to possess a firearm, but they cannot purchase one. On the other hand, Florida Statute §790.17(2)(a) was not amended by SB 7026. It still reads, “a person may not knowingly or willfully sell or transfer a firearm to a minor under 18 years of age, except that a person may transfer ownership of a firearm to a minor with permission of the parent or guardian.” Because this section was not amended and §790.065 deals with licensed manufacturers, importers, or dealers, it is unlikely the new law was intended to be a blanket prohibition against all sales of firearms to those under 21 and was likely intended to apply to only licensed manufacturers, dealers, and importers. Until there is clarification, we strongly caution that the actual wording of the 790.065(13), “A person younger than 21 years of age may not purchase a firearm” be heeded. We are reaching out to the office of the Attorney General for guidance and will update this blog should guidance be provided. Ghost gun. A ghost gun is a firearm without serial numbers. ... By making the gun themselves, owners may legally bypass background checks and registration regulations. Under U.S. federal law, the creation and possession of ghost guns is allowed, but a license is required to manufacture firearms for sale or distribution. You could legally make your own “ghost gun”. The “law” says you cannot sell or transfer it (it is for your own use), and also says that you do not have to go through the rather cumbersome (expensive, and time consuming - for both the government and the person) process of obtaining an “FFL” to manufacture firearms. These “ghost guns” must still meet federal restrictions (e.g., barrel length, no full auto) and the specific requirements of the state you live in (magazine limits, combinations of cosmetic features, etc.) to be legal… And the only thing that is different is that they do not have serial number. Unfortunately, the BATFE does not link to the regulation for people to review. I suspect that few people take the time to look up 27 CFR § 478.92. But I have and it can be read here. As someone who is not an FFL holder who is making a gun at home and for your own personal use, this CFR simply does not seem to apply. …a nonlicensee may manufacture a semiautomatic rifle for his or her own personal use…However, if the firearm is transferred to another party at some point in the future, the firearm must be marked in accordance with the provisions set forth in 27 CFR § 478.92 (formerly 178.92). Since the words “must be marked” appear, people sometime assume that means the personally made and used firearm that is now being transferred must be marked. However, the full statement includes “must be marked in accordance with…27 CFR § 478.92”, which clearly only applies to FFL holders. In other words, as I understand it, not placing markings on the gun would not take you out of compliance with 27 CFR § 478.92, so long as you did not otherwise fall under the requirements of the CFR. For clarification, if I (not a licensed manufacturer or importer) make a firearm for personal use and at some later date I decide to sell it, am I required to have it marked with any information? If so, what information would be required? it seems fairly clear that no serial number or other marking is required on a firearm that you personally made for your own use that you later decide to transfer. Again, I urge extreme caution. The presumption in law is that you need an FFL to manufacture firearms for sale to others. It would appear that you need to be able to prove that the personally made gun was for you and used by you and not intended for transfer to another person. Should I apply a serial number to my gun anyway? There are two good reasons why you should consider marking your gun in accordance with 27 CFR § 478.92 even though it is not required. First, it avoids any confusion about the application of 27 CFR § 478.92. Consider this a CYA, though I don’t think it to be a strong enough reason for me. I have no intention of ever selling, trading or otherwise transferring any gun that I may make to someone else. The second reason, however, is much more important to me. Marking your firearm with a serial number and other information will allow it to be identified as a stolen firearm if it is ever taken from you. Firearm thefts happen, and a serial number allows local law enforcement to enter the weapon into the National Crime Information Center (NCIC). When an officer comes across some gang banger with your gun, that serial number will come back as stolen. The thug in possession will go for a felony and the officers might be able to track back and find out who broke into your home. Cops getting criminals – especially violent ones – off the street is something I fully support. A serial number on your gun can help that happen should it ever be stolen. Read the original article here: http://www.gunsholstersandgear.com/2017/02/21/am-i-required-to-apply-a-serial-number-to-a-homemade-firearm/ . Make sure you visit GunsHolstersAndGear.com for all of the latest gun news, reviews and SHOT Show coverage.